Kim joined Nous Group in 2017 after 30 years’ experience in the higher education sector. She has held senior leadership roles at several universities. Her expertise includes the development of research strategy, research policy, research performance reporting, as well as human resources policy development (particularly pertaining to academic staff) and the design and implementation of change programs. Applied a forensic approach to enable opportunities to improve a university’s research performance. 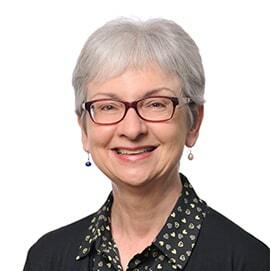 Before joining Nous, Kim was vice-provost (academic performance) at Monash University, with prior appointments including as deputy dean and head of department. Outside of Nous, Kim has served on committees of the Australian Research Council and was an active participant on high-profile Australian and global committees of the accounting profession. She has chaired audit committees in the not-for-profit sector and local council, and is a former director of the Australian Ballet School. Kim holds a PhD from Monash University, a Master of Economics from Macquarie University and a Bachelor of Economics from the University of Sydney. She is a graduate of the Australian Institute of Company Directors and a fellow of Chartered Practising Accountants Australia and Chartered Accountants Australia and New Zealand. Kim is emeritus professor at Monash University. On the weekend Kim likes to cycle the beautiful cycle paths of Melbourne, and for many years has enjoyed bushwalking in Tasmania. Much to her surprise, Kim has recently learned to swim.